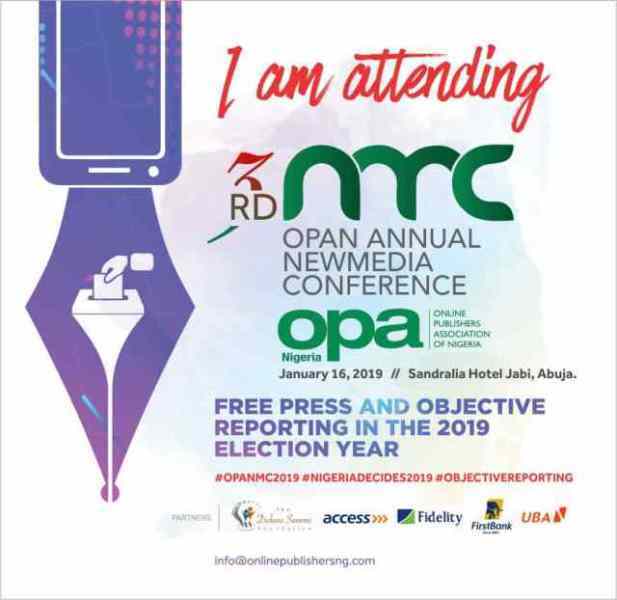 Vice President Yemi Osinbajo SAN, EFCC Chairman, Mr Ibrahim Magu, INEC Chairman, Mr Mahmood Yakubu, among other guests have confirmed their participation at the third Annual Online Publishers Association of Nigeria (OPAN) New Media Conference holding at the Sandralia Hotel, Abuja, Nigeria. The event starts at 9 am prompt. The OPAN president further said all addresses delivered at the conference will be compiled and published in a book to be unveiled at the 4th annual conference next year.